Many of you already came across of Klingspor product or Klingspor brand at least once. 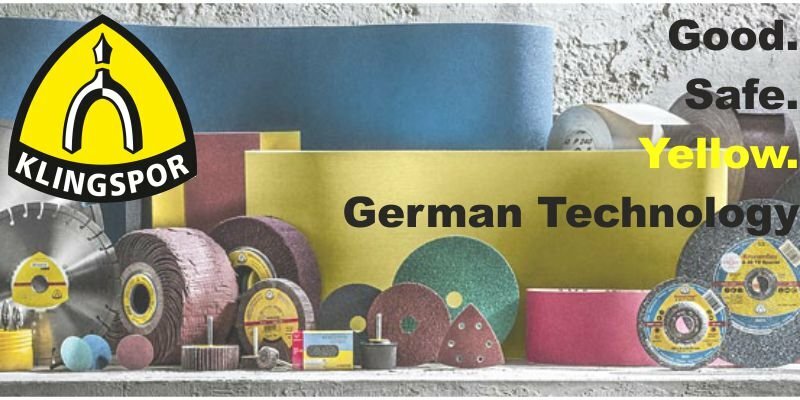 The Sanding Room sell Klingspor wet and dry sandpaper, sanding discs and sanding rolls, so we think it is good to write couple words about this phenomenal German manufacturer. Where to start? What about when it all started? Klingspor company was established in 1893 near Haiger, Germany by gentleman named Johannes Friedrich Klingspor. Just after 6 years, in 1899, company was starting developing and producing abrasives. From this point Klingspor company slowly grew every year and in 1926 as the first on the market in Europe, made Waterproof or Wet and Dry sandpaper. Such an achievement, we have to say! As the time passed, company was inventing new products and technologies by the time, due to higher demand and the lack of production space they established subsidiary in the United Stated in 1978. The next milestone in Klingspor company was completion of the first international production facility in Poland in 1996. This factory supplies majority of products for European market today. Nowadays, Klingspor AG has around 35 branches all over the world. Isn’t it impressive? What more, Klingspor’s corporate philosophy consists from instant improvement in processes and products. Their aim is clear: ,,Zero Defects’’ in production process. Top company’s priority is also environmental protection and reduction of CO2 emissions. Permanent improvement is therefore mirrored in usage of resources at highest possible level. So why are we writing this, what could be obvious for many of you? Because we want to make sure, that when you buy Klingspor products, regardless of where they are made, you are buying top quality products without compromise. This entry was posted in Blog and tagged Klingspor.